Music Legends Collection, Music Gifts, Ideas for Musicians and Music Lovers: World’s largest collection of hand-crafted mini guitars replicas 1:4 scale. Collectible miniature musical instruments all handmade by highly qualified craftsmen. Promotional and customized music gadgets. Unique collections of music-themed bags, handbags & wallets for women and men. Wholesaler / manufacturer. Welcome to MLC, the brand offering unique creatively designed music gifts and high-quality music items at affordable prices dedicated to all professionals and companies looking for that extra special gift for musicians and music lovers. Please browse through our website to discover our exclusive range of Unique Present Ideas for Music Lovers, you need look no further. Discover us now and add us to your favorites. 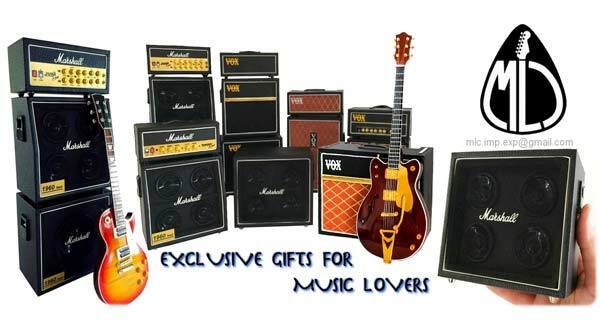 Electric mini guitars, acoustic mini guitars, miniature guitars bass in scale 1:3, 1:4, 1:5 with up to 300 amazing models. 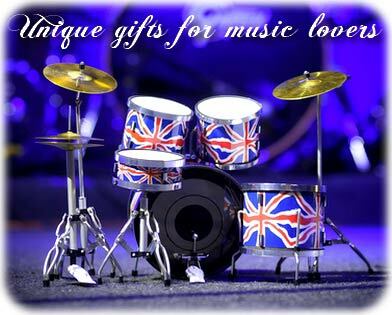 Mini drums-kits, mini amplifiers, miniature classical instruments such as piano, harps, violin & cello. 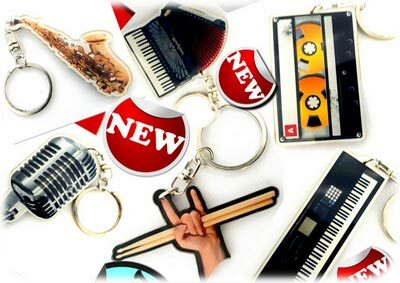 Music-themed keychains made of solid wood or metal. 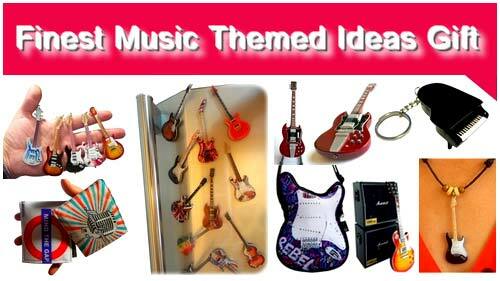 Decorative guitars-shaped fridge magnets, earrings, necklaces & pins. Funny keychains with rock stars’ caricature. Shoulder & hand-bags bags for men and women: Guitars-shaped bags, ibags for mobile phone & tablet, folk bags, wallets & pencil cases. Promotional bags & pouch all made with eco-leather (PVC) D420-600D or canvas. 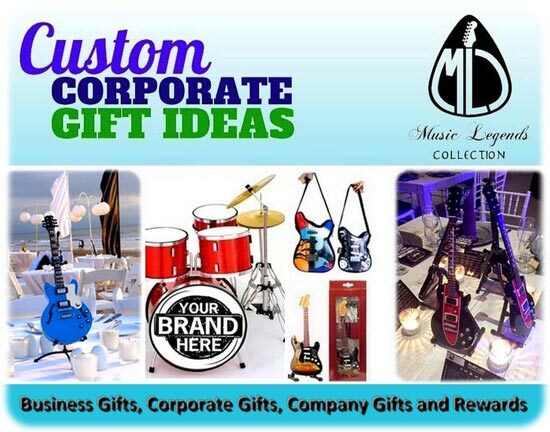 MLC company has been creating and producing personalized mini guitars & music-themed bags & gifts since 2006. Our knowledge of the dynamic production and the import-export process will definitely make the difference with other competitors. Unlike them, we are present on our production sites, which is why we are internationally recognized for our reliability and quality of our services. Thanks to our Thai & Indonesian companies, we directly control each step of the production from the very first project phases (artwork & design) to the orders shipment. Through our European warehouse, we are able to directly supply distributors & retailers with our ready-to-sell stock & best shipment solutions. We are still searching for new markets and distribution channels, always creating and developing new music gadgets & designs with a full synergy between our production units and sales departments. 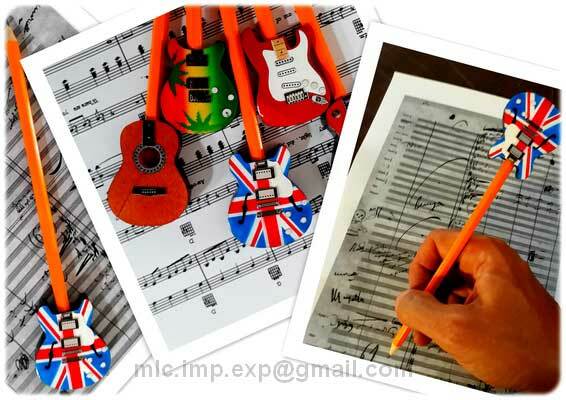 Our way of work can be easily adapted according to customers’ requests in order to make new collections, customized, promotional miniatures instruments or music-themed bags, wallets & pencil cases. 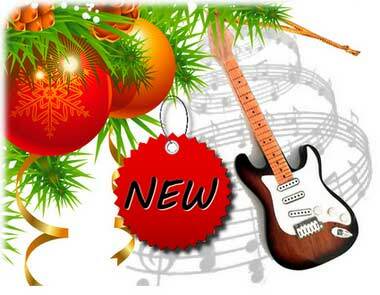 For further information on our promotional music gadgets, gifts and bags, please click here. Feel free to contact us with your comments, questions, concerns or to inquire about our products and services to: mlc.imp.exp@gmail.com or using the contact form by clicking here. Have you got a shop? You have started to get some ideas for items to sell online and looking for a unique range of gifts? Our range of unique music-themed gadgets is available and ready to be shipped by today, anywhere in the world! If you want to become an official distributor, reseller or dropshipper for MLC items, please let us know! A -20% welcome discount is waiting for our new customers! You can download for free the catalogue by clicking here. Disclaimer: MLC / Eurasia1 aren't affiliated with any manufacturer of full-sized musical instruments or artist. Model names and artist names are used for look-alike examples only. In no way, our companies are associated with any artists or manufacturers mentioned in this website. Some famous names are used to depict the style of each type of instrument. None of the instruments in this website are exact replicas.